Made by Mizuno, Size XL(? 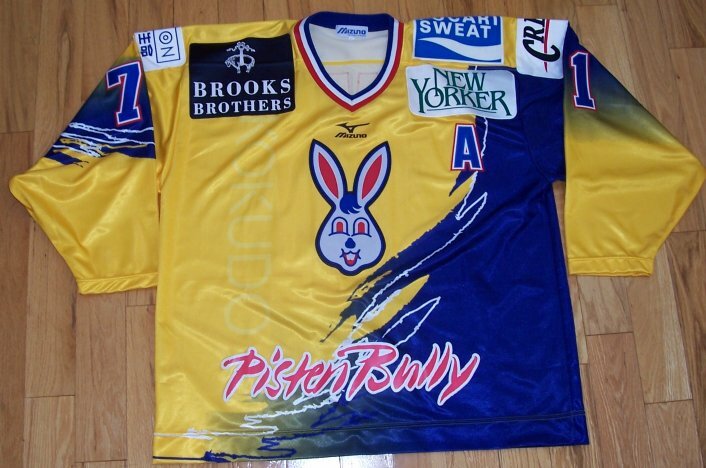 ), this is a "team issued" jersey of the Kokudo Bunnies of the Japanese hockey league. 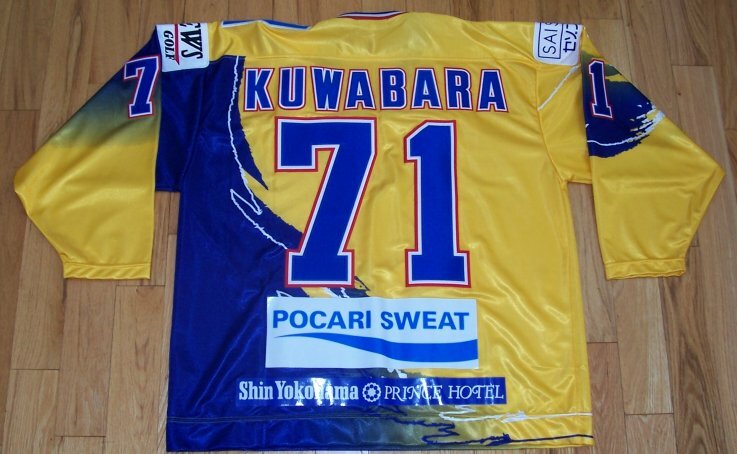 I got this in a trade from a Japanese jersey collector. Thanks Ricky!!! Name, numbers, 'A', felt crest and some ads are sewn on, the other ads are screened on. I just think it's an original jersey with an original logo!